Romantic accommodation and African sun are possibly the 2 best ingredients for a honeymoon. Africa is the perfect place for a honeymoon. It is a continent touched by romance, from its vast savannas to its castaway tropical beaches and its boutique safari lodges hidden deep within the bush. A honeymoon in Africa will give you a truly unforgettable mix of wildlife adventure, exclusive luxury and tropical beach relaxation. Nowhere else in the world can you combine the excitement of a Big Five safari with an idyllic island or beach paradise. Africa also has an array of hugely romantic accommodation, from cosy tented camps under starry skies to traditional wooden lodges with private balconies (or even jacuzzis) looking out over the bush, to exclusive hotels with panoramic views over mountains and vineyards and luxury beach escapes on the shores of the Indian Ocean. During each stay, you’ll be treated to outstanding hospitality, delicious meals and fine local wine, all under the sizzling African sun. Whatever your idea of romance may be, we guarantee that Africa has got it covered. Sip champagne at sunset on the Serengeti plains, walk hand in hand along a white sandy beach with the warm Indian Ocean lapping at your toes, enjoy a private picnic in the sweeping Cape Winelands, or take an epic train journey through magnificent scenery on a beautifully restored train - it’s totally up to you. If you’re after the romance of a real ‘Out of Africa’ experience, we can even help you arrange to get married during your safari. 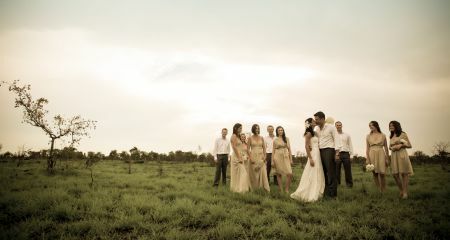 Saying ‘I do‘ in the heart of the African bush is something that you are sure to remember forever. We are delighted to offer a bespoke wedding service to happy couples planning to say their vows somewhere both wild or romantic - or a combination of both! We’ll help you find the perfect place for your ceremony, book the minister or officials for a civil service, and organise flowers, the wedding cake, a photographer...and anything else that you wish for! We love nothing more than arranging wedding and honeymoons to Africa, and we’ll help you turn your dream into a reality, whether it’s luxury all the way, an intrepid safari adventure or a blend of both! Every honeymoon that we put together is completely unique, based on the individual needs and budget of the couple. Whether you’re looking for total luxury in every sense or if you are working to a more modest budget, we’ll help you get the best honeymoon experience for your money. Our aim is to get you the honeymoon experience that you’ve always imagined, so we’ll really listen to your personal hopes and interests. 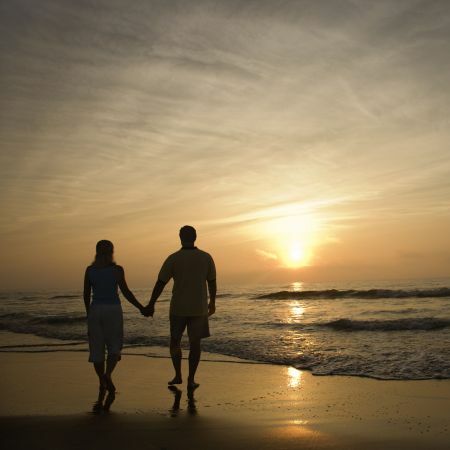 Below, we’ve outlined some suggestions that have been popular with our honeymooners in the past. Hopefully, these will give you some inspiration to start building your own unique honeymoon with us. All of the ideas below can be tweaked to suit you personally, so please do get in touch if any of them catch your eye. Feel free to get in touch and tell us about your personal honeymoon wishes, and we’ll start collecting some ideas together for you. Simply call us on 01932 428380 or complete our enquiry form. This is a 11 night itinerary including Klaserie Game Reserve, Hazyview and Mauritius. This is a 11 night itinerary including Cape Town, The Cape Winelands, The Garden Route and Shamwari Game Reserve. For those who want to get away from the crowds, this 10 night honeymoon to a private conservancy bordering Kenya's Masai Mara followed by a blissful week long stay in a boutique beach lodge on the coast should not be overlooked. This is a 10 night itinerary including The Serengeti and Zanzibar. Experience some of South Africa's magnificent scenery on this 11 night luxurious trip. Starting at the majestic Twelve Apostle mountain range, you spend 5 nights in glitzy Camps Bay in Cape Town, before boarding your 'moving' 5* hotel-on-wheels - the Blue Train - for a 2 night journey which trundles through breath-taking scenery as you head towards Pretoria. You end by flying into your safari destination, getting a birds-eye view of the undulating landscape and wildlife that is the Madikwe Game Reserve. This is a 11 night itinerary including Cape Town, The Blue Train and Madikwe Game Reserve. This is a 7 night itinerary including Sabi Sand Game Reserve and Vilanculos.